Micro sized transmitter, in an aluminum waterproof, submersible case. With an internal lithium ion rechargeable battery and Lemo connector for a removable lavalier. 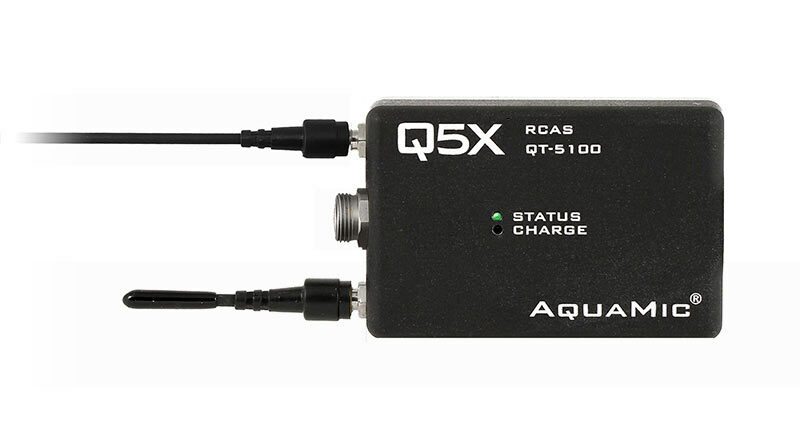 The QT-5100® AquaMic™ is the waterproof version of the Award Winning QT-5100® series of transmitters. The QT-5100® AquaMic™ is completely waterproof, fully submersible, and only a bit larger than the original QT-300® BeltPack. Used in reality TV, professional kiteboarding, surfing competitions and America’s Cup Yachting, the QT-5100® AquaMic™ has proven itself in extreme wet environments. 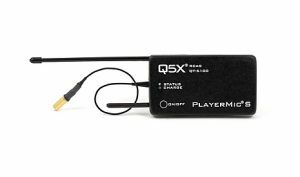 The QT-5100® AquaMic ™ high quality broadcast audio transmitter has the same reliable electronics and uncompromising quality as the QT-300® Aquamic. The internal lithium battery lasts 8 to 12 hours on a single charge (depending on output power). With 3,000 selectable frequencies from 525-600 MHz it is ready for the new restricted spectrum. 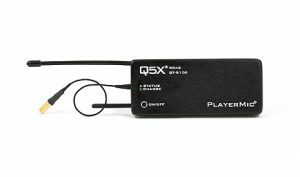 It features Q5X pre-emphasis DCS-QT companding and is comes standard with user selectable RF output power from 10mW to 250mW (regional restrictions apply). 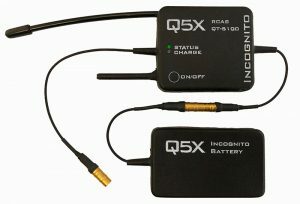 Wall power charger with LEMO connector, 1/4 whip antenna, manual, and Q5X one year warranty. Requires waterproof microphone with matching waterproof Lemo connector.